You’ve probably heard by now that We Charge Genocide is fundraising to send 4-6 young Chicagoans to Geneva, Switzerland this November to present our report on the Chicago Police Department’s human rights violations to the United Nations. Hopefully, you’ve also seen the video created by We Charge Genocide members stating why we wrote this report and are sending a team to Geneva. 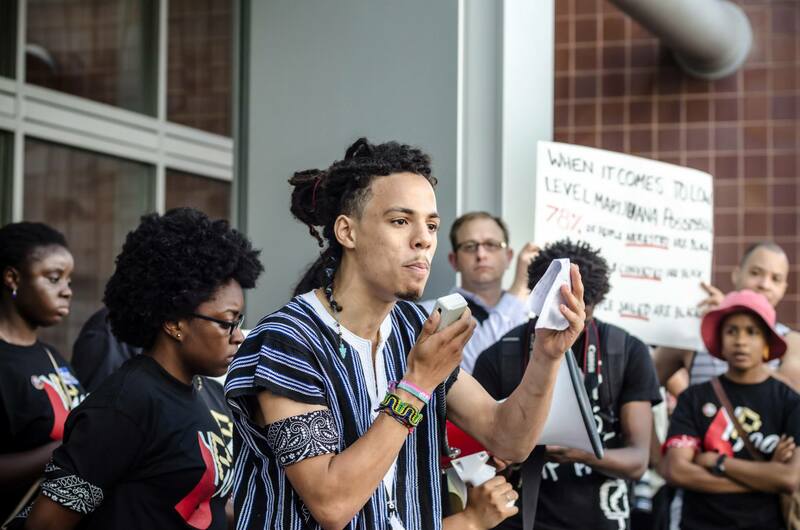 Each day this week, we will feature the profile of one member of the delegation, which represents the black and brown young people of Chicago who experience the daily reality of police violence in this city. 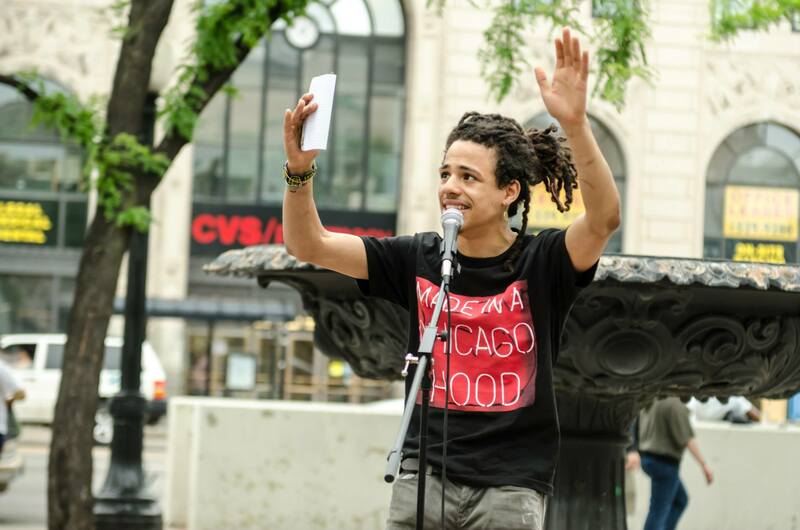 Today’s profile is on Ethan, a 19 year old resident of Chicago’s far north side. My name is Ethan Viets-VanLear. I am poet, organizer, and peace circle keeper. I was born and raised on the north-most part of Chicago Illinois. I am 19 and for the past few years I have been heavily involved in “activism” in my community of Rogers Park. I put activism in quotations because I do not see what I am doing as something that should be specialized or out of the ordinary. I see my work of trying to better my city/community and trying to change the ways we view and interact with others/the world as something we should all be doing. I personally grew up under constant surveillance and oppression from the police and for a long time noticed the same trend in the rest of the city and country. 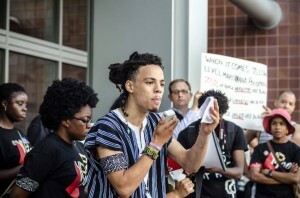 I first came to social justice work through an organization called Circles and Ciphers that focuses on working with young people of color, formally or currently involved with the justice system, to build leadership around a new forms of accountability in our communities called restorative justice. 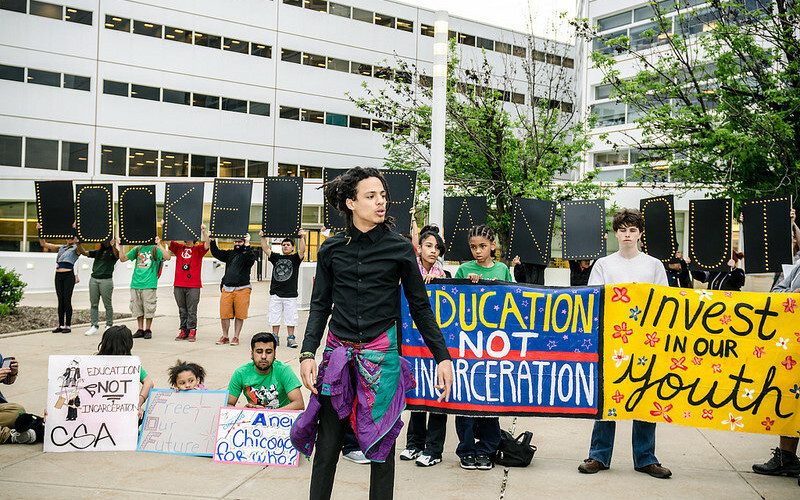 I then joined the Know Your Rights Project where we created and implemented curriculum in over 100 schools and community centers teaching young people what to do when in contact with police to avoid violence or incarceration. I was also appointed to the Illinois Juvenile Justice system, our state advisory board trusted to make policy and funding decisions about juvenile justice policies in this country. When I first started doing juvenile work I had a naive hope that somehow we could formulate a cure for this oppressive system I saw tearing apart communities through the governmental system of this country, whether state or federal. This hope was quickly squashed as again and again I ran into walls in every institutional venue I came to; and continued to experience the brutality of this city’s police department. My attitude toward the system was solidified when earlier this year my dear friend Dominick Franklin (Damo) was murdered by the Chicago Police Department when accused of stealing liquor from a convenience store. When I heard of the We Charge Genocide effort to travel to Geneva my hope was again inspired that if not in this country’s law maybe internationally something can be in place to end the continued atrocities committed against people of color in this city and country at large. Please help Ethan and the rest of We Charge Genocide’s delegation get to Geneva to present their report before the United Nations Committee Against Torture. Donate online here and spread the word!